The decision by Xstrata’s board on whether or not to endorse Glencore’s new bid for the company is delayed by a week to October 1st. The endorsement might help to convince a majority of shareholders to accept the offer for 3.05 shares of Glencore per share of Xstrata. The debate around generous retention packages for Xstrata’s key managers started again as several large shareholders voiced their discontent. Glencore stressed nothing will change to those packages unless Xstrata’s board wants to adjust them. Finding a compromise to satisfy the key shareholders might be the final step for the board to make the deal happen. Fortescue announced refinancing of $4.5bn debt with Credit Suisse and JP Morgan as underwriters. Debt maturity of the new deal is 5 years. The company was facing liquidity problems as low iron ore prices and aggressive investment schedules were undermining its ability to repay debt. Oyu Tolgoi’s trouble to get powered is just one example of the challenges many large operations face to secure affordable power supply. The power requirements of a large operation require a significant change and development of power grids of many developing nations. Generation capacity is typically not readily available and the large offtake trigger discussions about long term price agreements. After meeting with Glencore’s board this week, Xstrata’s board appears to be working hard to make the merger/acquisition go ahead. It is hard to imagine another outcome in which Xstrata’s shareholders get more value for their company, making it likely they will accept the offer. If the deal is approved by Xstrata’s shareholders, the changes in holdings various large investors will likely make will give an interesting insight into the clientele effect the integration of a mining house and a commodity trader could have. Hours before Xstrata’s shareholders were to vote on the proposed merger of equals, Glencore announced it would make a higher bid on different terms . If the vote would have gone on the Qatari sovereign wealth fund would most likely have blocked a deal. The new bid offers 3.05 shares of Glencore for each share of Xstrata, 9% up from the previous bid at 2.80x. In response to the bid Xstrata’s share price went up 8.6% on Friday, with Glencore’s share price dropping 2.9%. The ‘merger of equals’ will likely change to a plain takeover. As a Xstrata’s shareholders can simply tender their shares and Glencore gains control as soon as it gains a majority of shares (up from the current 35%). Under the former proposed deal approx. two-thirds of Xstrata’s shareholders excluding Glencore would have to vote in favor of a deal. The initially proposed governance structure with Xstrata’s CEO Mick Davis as the new CEO of the combined company is scrapped and Glencore’s CEO Ivan Glasenberg will take the helm of the new company. The exact details of the new structure are not yet known, as Glencore is yet to submit the new bid. The implications for the position and potential retention packages for Xstrata’s current top managers and the name of the new company will become clear when the new bid is published. Facing the likely rejection of the merger bid Glencore had little to lose in changing the terms for the offer. The likelihood of a takeover offer being accepted is much higher than the stakes the merger was going to happen on the proposed terms. Xstrata’s shareholders know that their changes of getting an even better deal than what is offered now are very slim and that they face an immediate drop in Xstrata’s share price if Glencore doesn’t gain control. The offer values Xstrata roughly $4bn higher, but as the company holds 35% of Xstrata already it would cost Glencore approx. $2-3bn extra. If the deal was canceled Xstrata’s share price was likely to lose the roughly 10% in value resulting from Glencore’s bid, amounting to a loss of $1-2bn for Glencore. The sudden governance change to try to make Ivan Glasenberg CEO of the new company is hard to understand. The merger setup was criticized earlier because of the strong focus on keeping Xstrata’s executives on board with generous retention bonuses. Either Glencore’s leadership never really believed they will not be able to achieve the same results as Xstrata’s leadership or they will keep most of the retention controls in place in the new offer. The vote by Xstrata shareholders on the proposed merger between Xstrata and Glencore, originally scheduled for July 12th, has been delayed to a yet to be announced date. Several large shareholders, including Qatar Holding, which holds approx. 11% of the shares, have threatened to try to vote against the deal if the exchange ratio of 2.8 shares of Glencore per Xstrata share is not sweetened. Xstrata’s shareholders have a very strong voice in the deal because Glencore can’t use its 35% of the voting rights. As a result a small group of only some 15% of the shareholders could block the deal. The Australian antitrust authorities approved the proposed deal last week, judging that the combination would not be big enough to distort market efficiency. European Union, Chinese, and South African regulators still have to give their judgement. Xstrata buys the Sukunka coking coal deposit from Talisman Energy for $500mln in cash. The deposit holds 236 million tonnes measured and indicated resource. The non-producing asset is located in the same region as two other assets bought by Xstrata last year. While the merger antitrust investigations for the GlenStrata merger are getting started, the executives of both companies are going on a tour to Xstrata’s major shareholders to get buy-in. Several large shareholders (Standard Life, Schroders) have indicated they will vote against the deal at the current 2.8 shares of Glencore per share of Xstrata valuation. Molycorp, the largest non-Chinese miner of rare earth minerals, made a takeover bid for Canadian processing company Neo Material Technologies, for $1.2bln. The deal will be paid roughly in roughly 2/3 cash and 1/3 shares. The strategic objective of Molycorp is to become a strong player in processing rare earths into semi-finished goods and to gain a strong foothold in exports to China. The large mining companies reiterate these points every in every single investor presentation. Because many investors want to see more cash returned to the shareholdes in relatively uncertain times, the companies have to stress continuously that long term fundamentals look good and that large investments are needed. 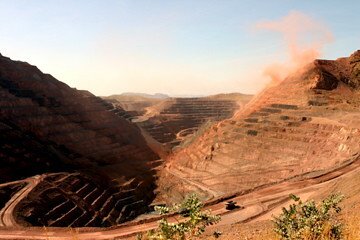 “Brazil’s Vale has dropped its $1.1bn offer for Metorex, a central African copper and cobalt miner, clearing the way for China’s Jinchuan Group to complete a $1.4bn takeover that would establish the state-owned miner in risky frontier markets for metals. The move came a week after Jinchuan, one of China’s largest mining companies, disrupted its Brazilian rival’s plans by offering R8.90 per share for Metorex. Metorex, however, has not yet recommended Jinchuan’s higher offer to shareholders. Its board will “convene shortly to consider its position with respect to the Vale offer and the Jinchuan offer”, the South Africa-based miner said. Metorex is a South African copper and cobalt miner with operations in Zambia and Congo. The company’s board has recommended the shareholders to accept Jinchuan’s offer, paving the way for the takeover of the company. Vale withdrew its inferior bid quoting capital allocation rigor as the reason for not doing a higher bid. Jinchuan is a government owned non-ferrous metals miner. The company has been rumoured to plan an IPO for many years. End of 2010 the company announced a small acquisition in South African platinum mining and furthermore the company bought a Canadian developer of a mine in Tibet. The acquisition by Jinchuan is an example of Chinese company’s high willingness to pay for foreign assets. The project is certainly not worth more to Jinchuan than to Vale, which owns assets nearby which could cause synergies. However, Chinese companies are willing to pay a high premium to grow internationally, positioning themselves as state champion in a consolidating industry.